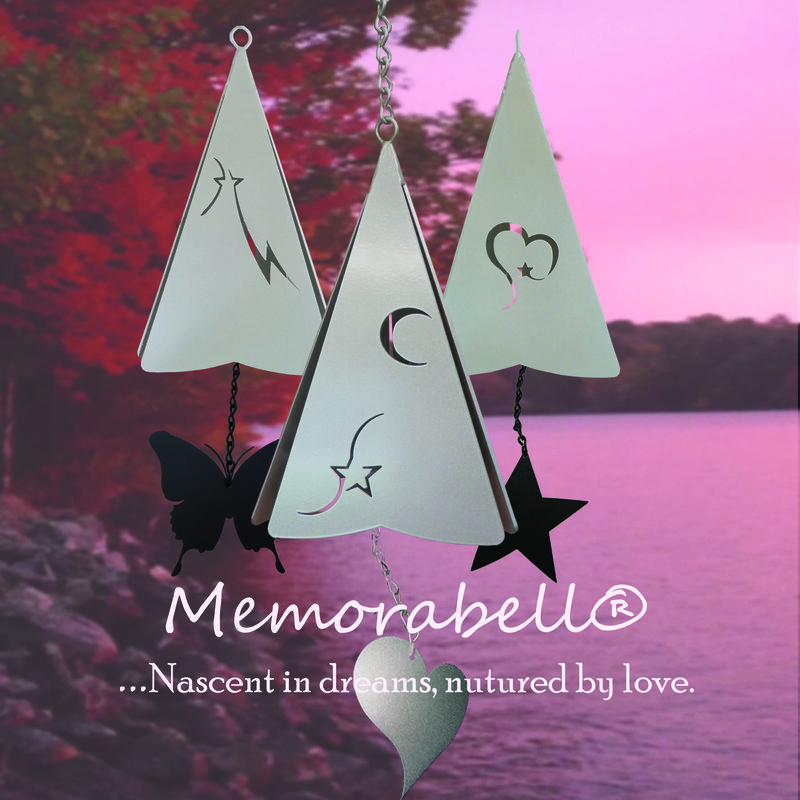 This bell is a special bell to give to one sharing endearing memories of times past. The Memorabell's three sides denotes a story of a Great Love represented by Heart (side one), Soaring through the sky represented by a Thunderbolt, to the Moon and Stars represented on the final plate. The bell has three lovely tones. It is powder coated a beautiful 'pearlescent' silver! 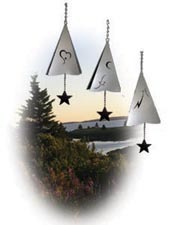 Choose any windatcher for this bell, may we suggest the Dream Heart, Silver Star, Butterfly or The Celtic Knot (our new windcatcher)?